Protect yourself from flash fire or electric arcs on the job. Size Large Regular back length 31.5"; Tall 33.5"
Excellent value product compared to other FR cold weather coats on the market. Does tend to shrink a bit. I LIKED THE JACKET BUT IT WAS TO BIG I SENT IT BACK ON 12/17 AND HAVE NOT RECIVED CREDIT YET. Good heavy coat. Keeps me very warm on the coldest days. I will buy my whole crew one next year. I am working in a high hazzardous work enviorment! 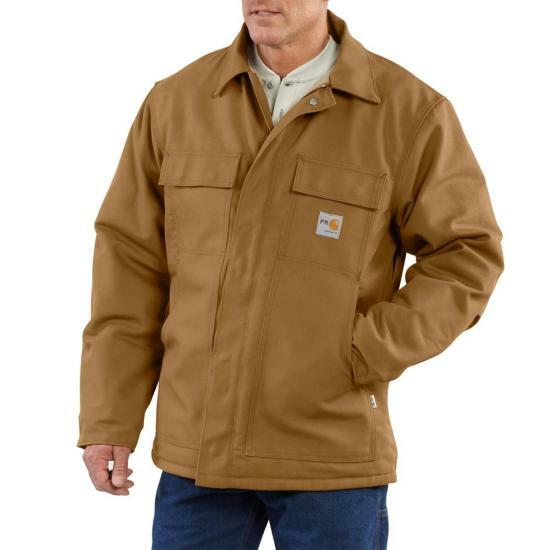 This coat is big, durable and cleans easily. Not for high activity. It would be too constraining. It is warm and just what I wanted and need for what I do, overseeing field operations.